Z Cam is launching a 3D180 camera, to be called K1 Pro. It was originally announced in July 2017. Contrary to what I expected, the Z Cam K1 Pro is a professional camera, not a consumer camera. It will feature two four-thirds Sony sensors, and two f/2.8 fisheye lenses with adjustable aperture. 12/12/17 update: see below to a link to a sample video! 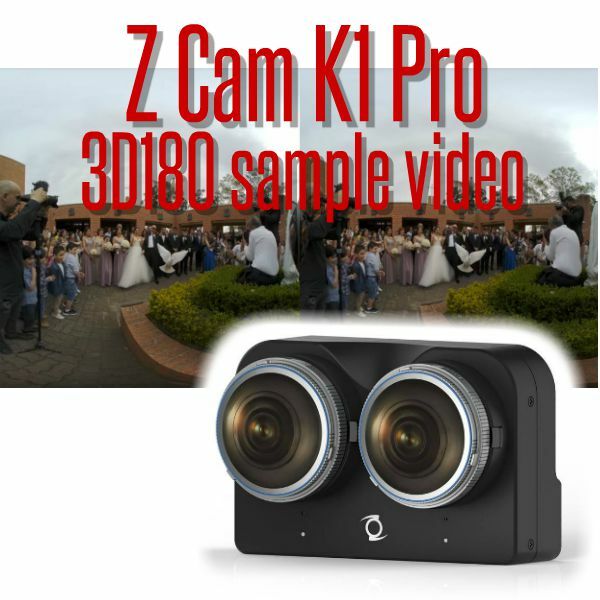 The Z Cam K1 Pro features live view and control via Z Cam Controller for PC, Mac, iPad or iPhone. It can live stream using Z Cam’s WonderLive software for PC (live streaming requires a GTX 1070). Stitching is via Z Cam’s Wonderstitch software (PC). The video shows very good levels of detail and dynamic range, thanks to its large Micro Four Thirds sensors. Incidentally, Z Cam is one of the manufacturers to support Google’s new VR180 standard but this particular sample is a conventional 3D video in side by side format. I hope that in the future, the videos from the K1 can be viewed with VR view (i.e., where rotating the head will also rotate the view), not just a side-by-side 3D video. The MSRP of Z CAM K1 Pro is $2,995, with shipment to begin in December 2017. To pre-order, please contact Z Cam’s CEO Kinson Loo at kinson@z-cam.com. I think $3000 is too much for this camera. You can purchase 2 Lumix GX85 with 6.5mm lenses and shoot with same quality for the half of the price. On top of that you get 2 separate cameras that you can use for day to day work. Thanks Akmal! For me, the Z Cam’s 3D180 camera is just way outside my budget. In Google’s announcement for VR180, they said it would cost like a point-and-shoot camera. ” They will be as easy to use as point-and-shoot cameras, for around the same price.” So that’s what I’m expecting. Even though I am a fan of wide base stereo, I also know the mathematics of it and I am sure you know that when shooting hyperstereo, you have to limit your foreground distance. Problem is that when you are using lenses with a 180 degrees FOV, you will inevitably record foreground content and, in those instances, using a larger stereo base can induce eyestrain. But the truth is that most people who want 3D versions of 180 and 360 cameras are looking to maintain natural scale at close range. It is mostly at close distances that 180 and 360 2D cameras fail because the lack of disparity between left and right images makes close range subject matter look gigantic and flat. I agree so long as there is no close range subject matter. For example if cameras are mounted on a drone, then lens separation can be increased substantially. Francois thank you for comments! Yeah shooting with 2 separate cameras have a lot of troubles. I’ve made couple of shots with Canon 5D Mark IV + Rokinon 8mm. Lens are not that sharp as ZCam and I could’nt make good vertical mount for DLSR so I was matching IPD in After Effects to somewhate minimize hyperstereo effect 🙂 But man… 3K is too much for couple of M4\3 cameras with fisheye lens. I’m looking towards ZCam e1 mini it has such a small body so no need to build a vertical rig for it I can easily put cameras in dual flash mount. Very disappointed at the price point. A more consumer friendly higher resolution camera is needed as 4K images viewed using a HMD don’t cut it in a world where we are surrounded by HD imagery on TV and computers all day. According to Google, several other manufacturers are set to introduce new (probably more affordable) 3D 180 cameras such as Yi, LG and Lenovo. Back in June, it was implied that cameras from these manufacturers would show up by the end of this year. However I have heard nothing from any of those companies besides what was announced back in June. I joined all their mailing lists and haven’t received a single update from any of them. As for getting higher than 4K in the lower priced cameras, I doubt this will happen. Hello everyone. Thanks Mic Ty for this fantastic blog. The truth is that it is a bit expensive. But it seems a very powerful device. Would it be possible to make 360 ​​6K 3D video by rotating the camera in 2 or 3 positions and then stich in Mistika? Z Cam S1 Pro has the same optics configuration although in different arrangement and allows with 4 optics to realize 3d. What do you think?. Thank you for answering so quickly. I intend to make 360º 3D with a single camera with fisheye, Sony a6300 + Sigma 8mm. Or with displacing the gopro Fusion. Hi Ruben. 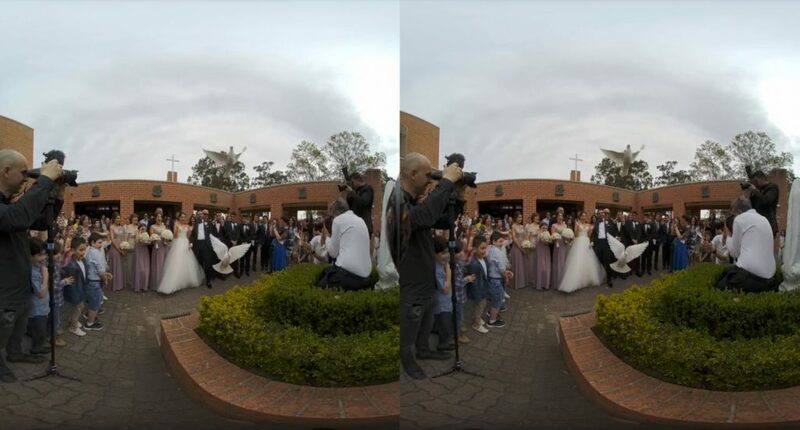 Wow making a 3d 360 photo with one DSLR seems very very challenging. 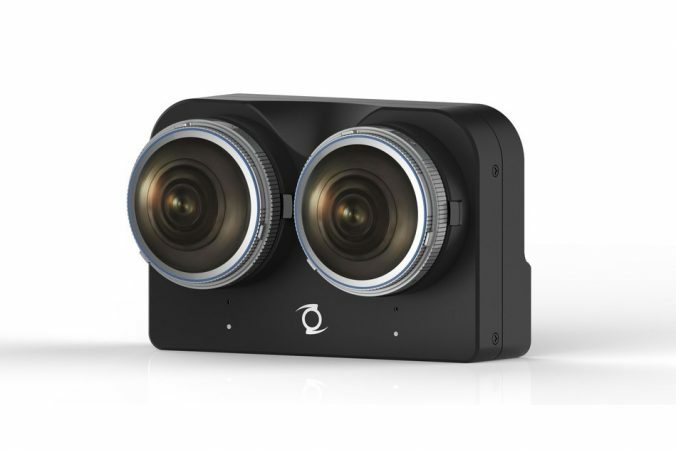 I think you might be interested in the kandao obsidian Go, which can shoot 3d 360 photos in 8K resolution, and it costs around $2500 (stitching software is included, with depth map capability). I like this idea! You plan to shoot 4-12 photos from one point than move camera 62 mm from first point and repeate shooting? 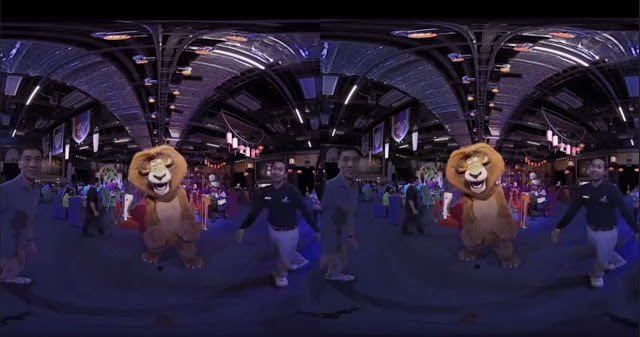 The sample video you linked to is actually a 3D 180 degree VR video, I tried it in a VR headset with head tracking and it works great across the 180 degrees field of view. I agree in theory with your statement. Clips of this nature do play as full VR 3D 180 on my headset when “3D 180” is enabled. And I only say “in theory” because sadly, my headset won’t play anything higher than 4K resolution ! Mic: any chance of a 4K version of this clip ?